$24.00 As Low As $0.26 ea. 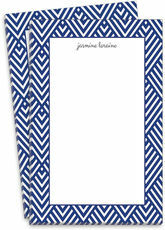 Self-adhesive return address labels to coordinate with our note cards, see related items. Size of label 2 5/8" x 1". Your choice of typestyle. Flat printed in black ink. Design and positioning as only shown. Initial will always be Uppercase. Labels are presented on sheets.